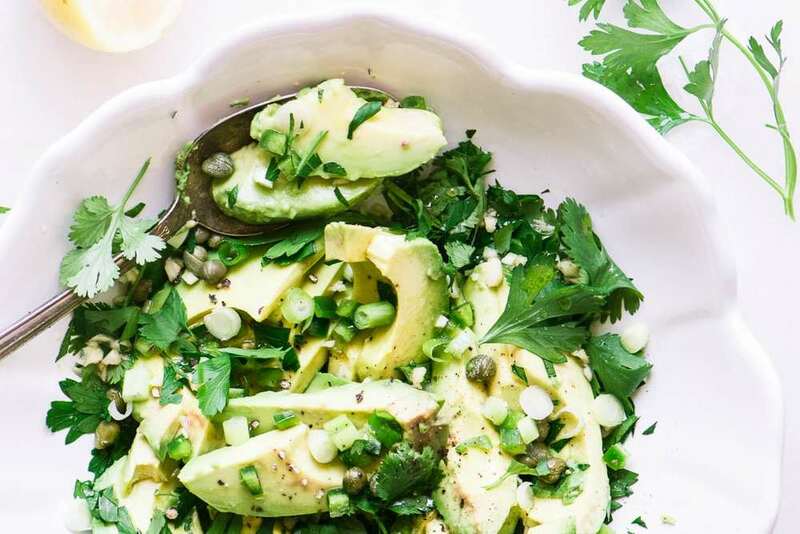 Avocado and Herb Salad ~ a super easy vegan salad made with delicious avocado and loads of fresh herbs to kick your healthy diet into high gear! Slice the avocado into thin slices and sprinkle with lemon juice to prevent browning. Add them to a wide shallow serving bowl along with the green onions, capers, herbs, and jalapeño. Whisk the dressing together and drizzle over the salad. Serve asap with a fresh grinding of coarse black pepper.